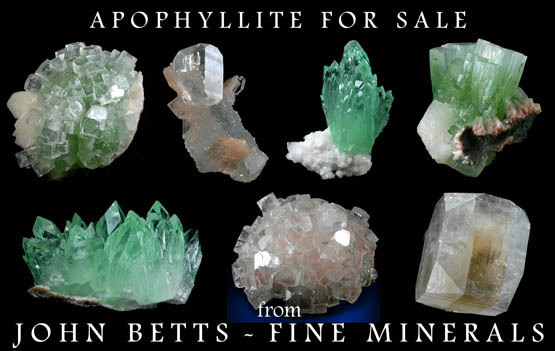 Description: Pale-green lustrous datolite crystals to 5 mm with white apophyllite to 10 mm. 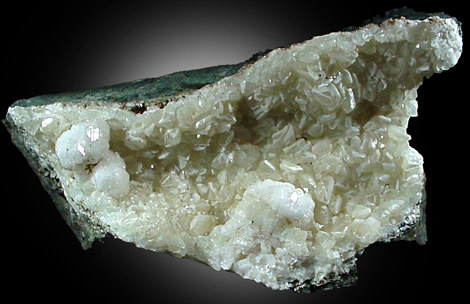 A good specimen compared to material found recently at the mine. The bottom is sawn flat.